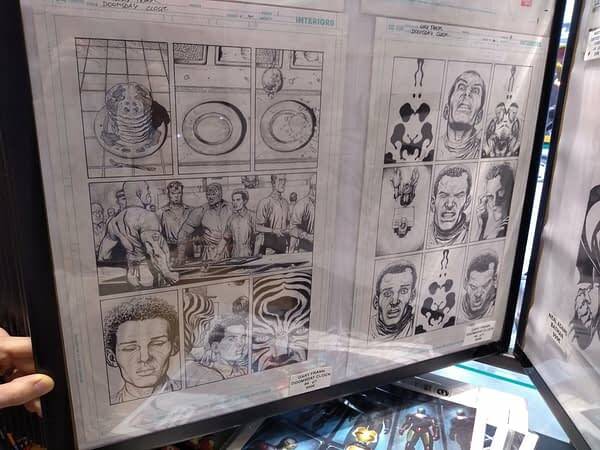 You can see me come across a couple of pages of Gary Frank‘s original art for Doomsday Clock in Pulp Comics in this video, as I wandered through Rue Dante in Paris earlier this week. I confess I was a little surprised. I popped back in for a better look the following day. 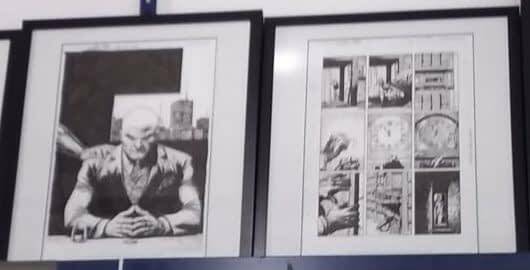 It wasn’t just pages on the wall, they had some in the browsable display units as well. 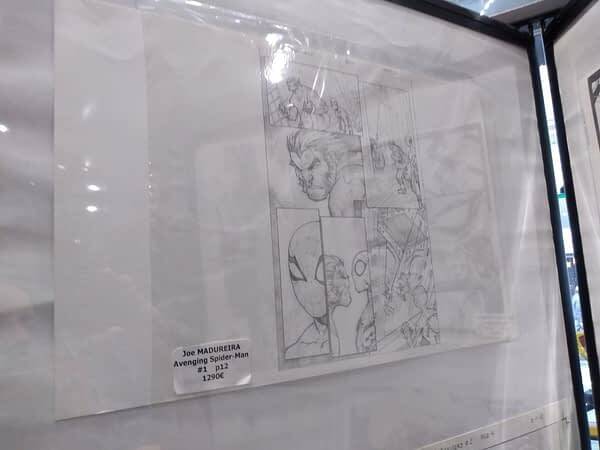 With all sorts of pages too… I did not know Joe Madueira drew at such a small scale. Which, yes, makes his delays on his Kickstarter even more frustrating. 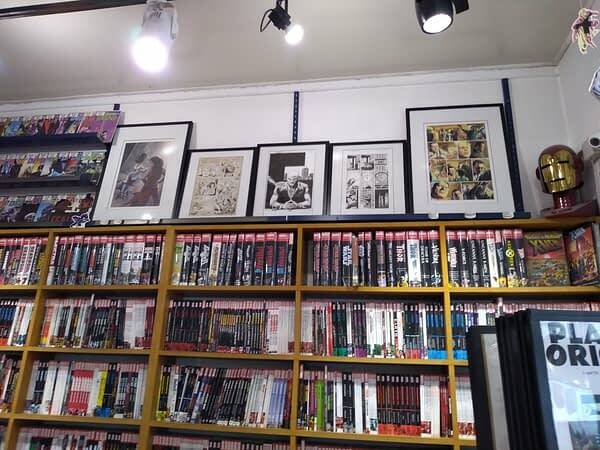 Pulp Comics is a US comics specialist store on Rue Dante in Paris, which also has two toy stores on the same street, one that is the Funko POP capital of France. 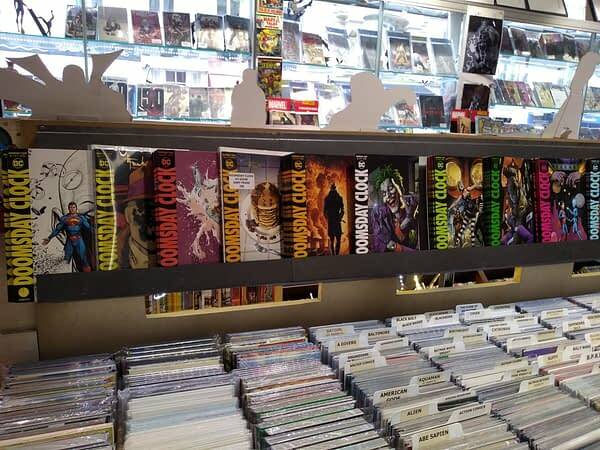 I got chatting to one of the owners, Arno, who told me about comic conventions he had run and the upcoming shows in Italy – more of that in another article I fancy, and we shared a coffee talking about the American market and its place in Europe – and the distribution challenges that Brexit is causing, even in France. 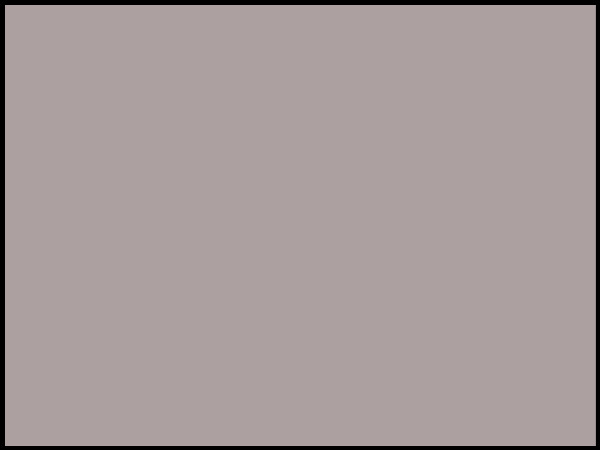 Anyway, we learnt that the reason Frank has been taking a cover here, a Batman story there, is that he’s been waiting on script pages to draw. 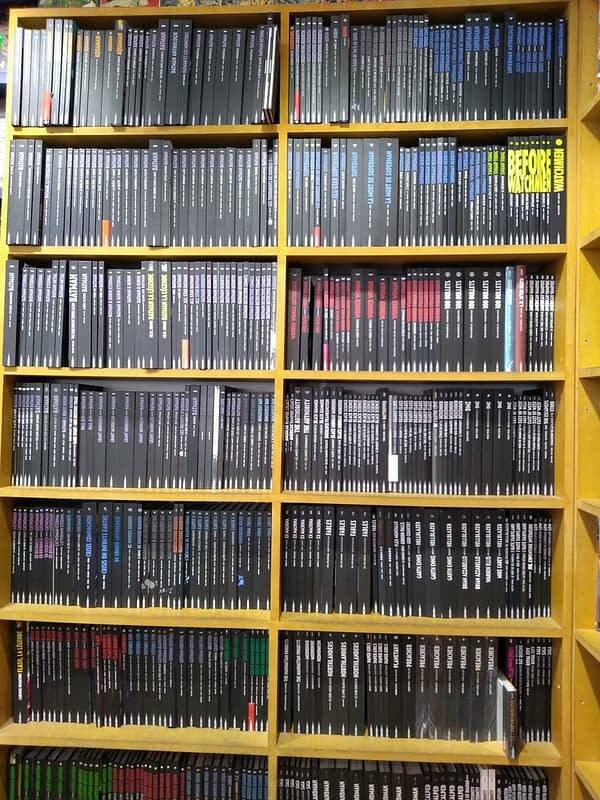 …the kind of collections that would make Californian retailer Ryan Higgins weep with envy. Maybe sublicense to the French licensors, Ryan?